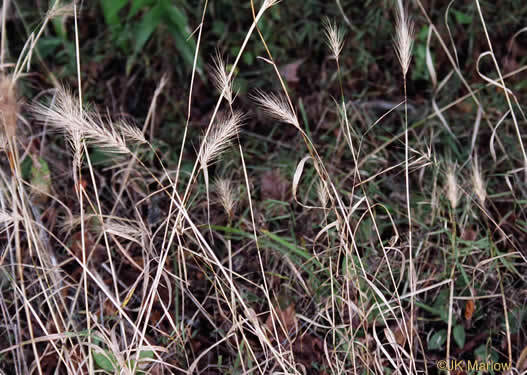 Your search found 11 image(s) of seedheads of Bottlebrush Grass, Cereal Rye, and Virginia Wild-rye. 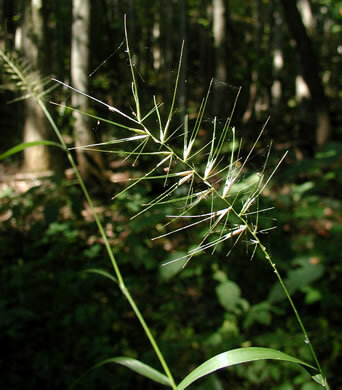 Spike 6-15cm long including awns, 12-15mm broad, per Vascular Flora of the Carolinas. 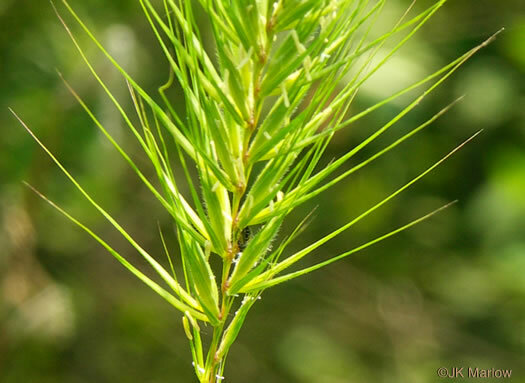 Spikelets alternate on opposite sides of rachis, mostly 2-flowered, per Vascular Flora of the Carolinas. 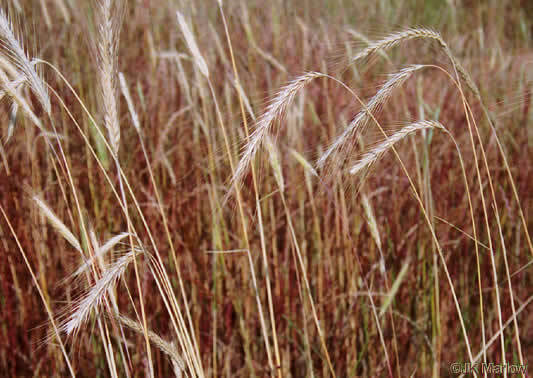 In habit resembling wheat, but usually taller, spike more slender, nodding, per Manual of the Grasses of the United States. 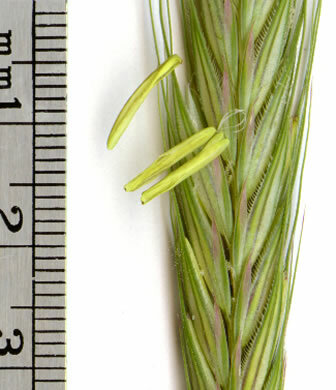 The lemmas have awns 2-6 cm long, per Weakley's Flora. 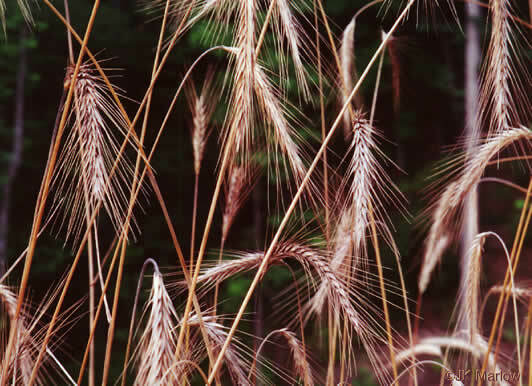 Lemmas convex, rigid, tapering into slender, straight awns 1-4cm long, per Manual of the Grasses of the United States. 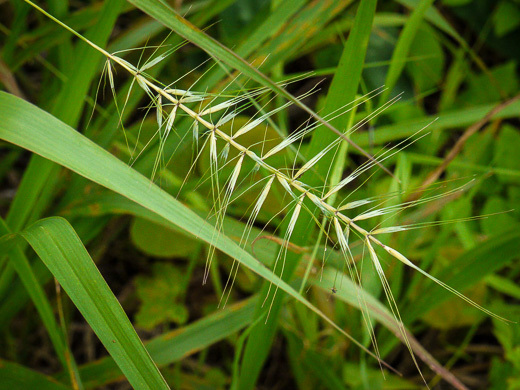 Awned spikelets spread at right angles to rachis; glumes absent or reduced, per How to Know the Grasses by R.W. Pohl. 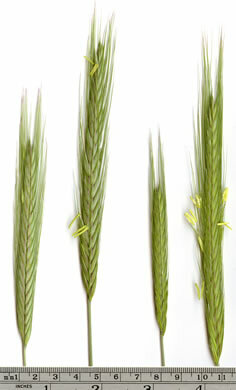 Spikelets usually 2 per node of rachis, usually horizontally divergent, per Vascular Flora of the Carolinas. 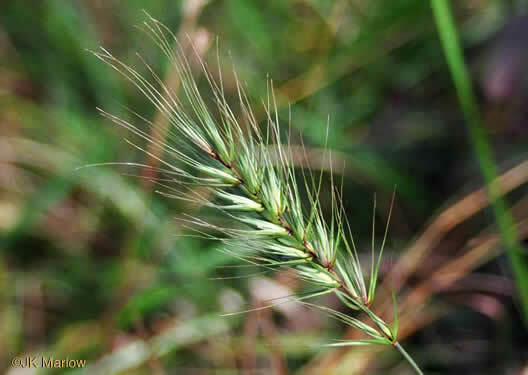 Rachis internodes 5-10mm, spikelets horizontally spreading toward maturity, per Manual of the Grasses of the United States. 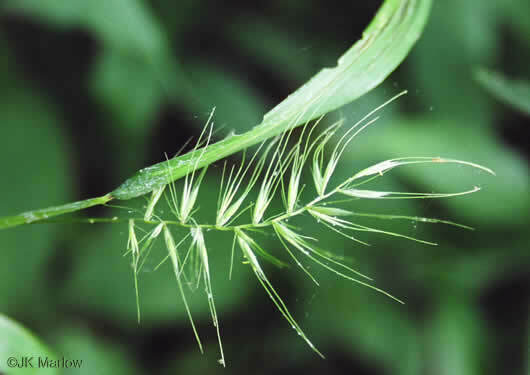 Can be confused with Secale cereale which often nods but has longer bristles, per Grasses, an Identification Guide by Lauren Brown. 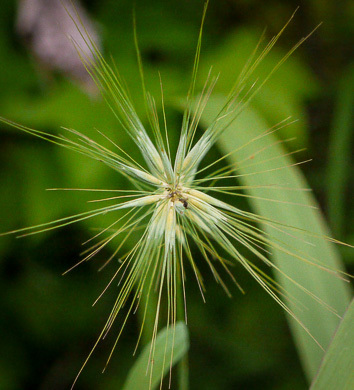 Elymus species' spikelets are sessile, usually in 2s, alternating on spike, per Wildflowers of the Eastern United States.